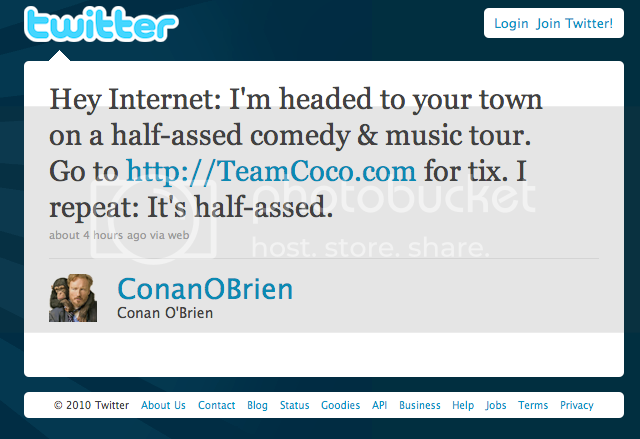 Sidelined from TV until September, Conan O'brien is heading out on a 30-city tour sponsored by American Express. The tour, which Conan announced via his Twitter account earlier today, will be titled The Legally Prohibited from Being Funny on Television Tour presented by American Express. Organizers called the tour "a night of music, comedy, hugging and the occassional awkward silence."